Oxidative stress and mitochondrial dysfunction are two pathophysiological factors often associated with the neurodegenerative process involved in Parkinson’s disease (PD). Although, 6-hydroxydopamine (6-OHDA) is able to cause dopaminergic neurodegeneration in experimental models of PD by an oxidative stress-mediated process, the underlying molecular mechanism remains unclear. It has been established that some antioxidant enzymes such as catalase (CAT) and superoxide dismutase (SOD) are often altered in PD, which suggests a potential role of these enzymes in the onset and/or development of this multifactorial syndrome. 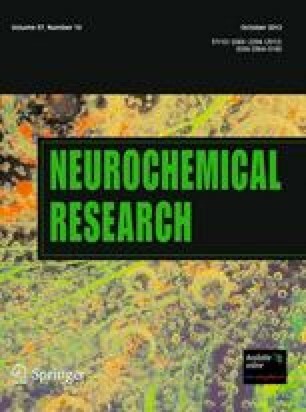 In this study we have used high-resolution respirometry to evaluate the effect of 6-OHDA on mitochondrial respiration of isolated rat brain mitochondria and the lactate dehydrogenase cytotoxicity assay to assess the percentage of cell death induced by 6-OHDA in human neuroblastoma cell line SH-SY5Y. Our results show that 6-OHDA affects mitochondrial respiration by causing a reduction in both respiratory control ratio (IC50 = 200 ± 15 nM) and state 3 respiration (IC50 = 192 ± 17 nM), with no significant effects on state 4o. An inhibition in the activity of both complex I and V was also observed. 6-OHDA also caused cellular death in human neuroblastoma SH-SY5Y cells (IC50 = 100 ± 9 μM). Both SOD and CAT have been shown to protect against the toxic effects caused by 6-OHDA on mitochondrial respiration. However, whereas SOD protects against 6-OHDA-induced cellular death, CAT enhances its cytotoxicity. The here reported data suggest that both superoxide anion and hydroperoxyl radical could account for 6-OHDA toxicity. Furthermore, factors reducing the rate of 6-OHDA autoxidation to its p-quinone appear to enhance its cytotoxicity. This study was supported by grants SAF2007-66114 (to R. S.-O.) from the Ministerio de Ciencia e Innovación (Madrid, Spain) with the contribution of the European Regional Development Fund and 09CSA005298PR (to E. M.-A.) from the Xunta de Galicia (Santiago de Compostela, Spain). J. I.-G. was supported by a scholarship from the Fundación Obra Social La Caixa (Barcelona, Spain).